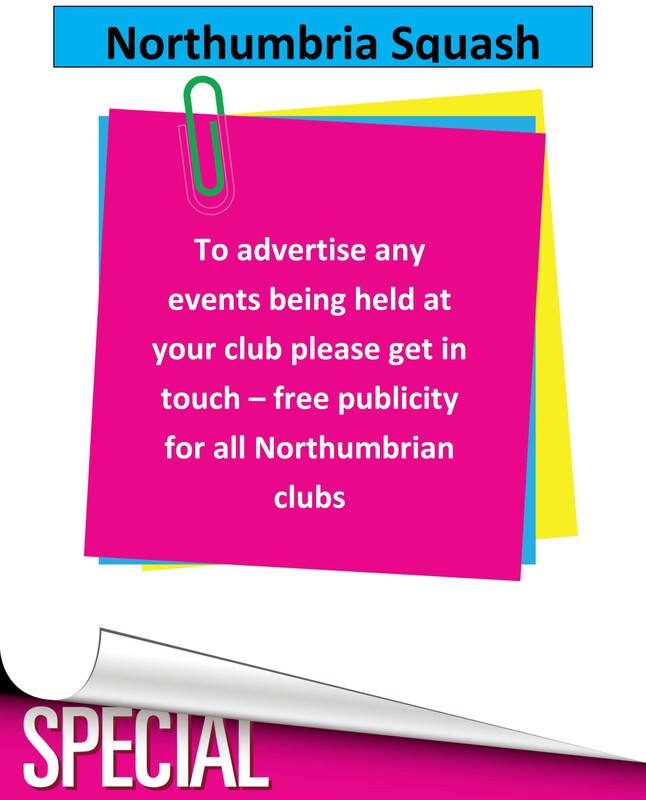 The Northumbria Junior Open is taking place this weekend (30/31 August) at Tynemouth SRC and The Northumberland Club. The event is split over two venues due to the number of entrants. 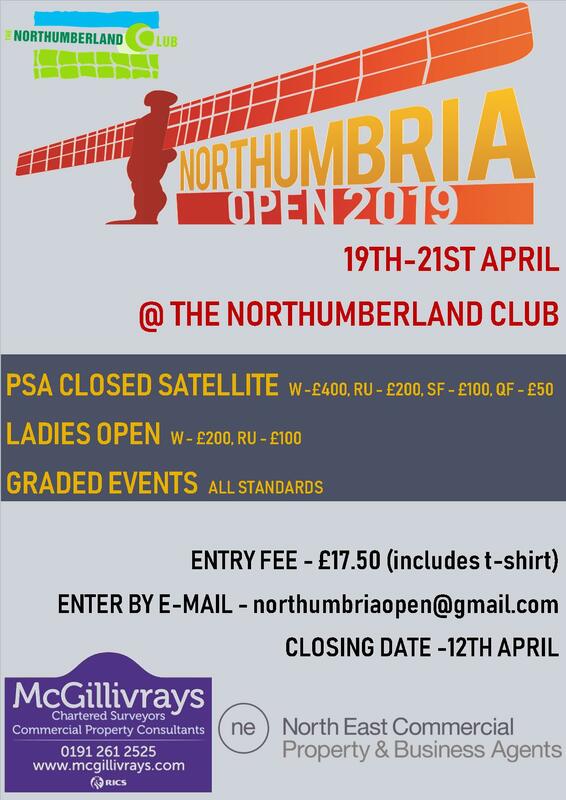 The Boys U15, Boys U19, Girls U15 and Girls U19 being held at Tynemouth SRC and the Boys U13, Boys U17, Girls U13 and Girls U17 being held at The Northumberland Club. All visitors welcome, why not come along and see the stars of the future.